Field Notes from Herring Run: How big is Eutaw House? 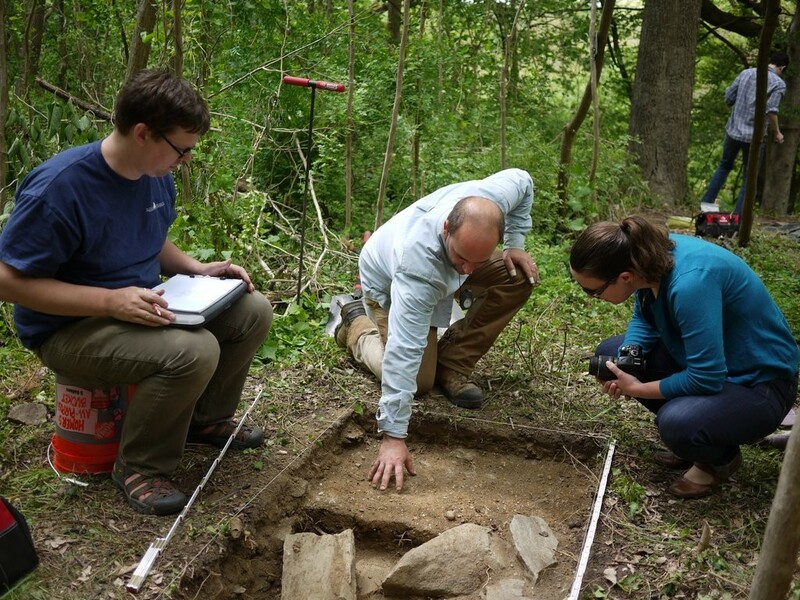 We are continuing to share field notes from Lisa Kraus and Jason Shellenhamer as they lead our archaeological dig at the Eutaw Manor and Mill complex in Herring Run Park. Read on for Lisa and Jason’s third journal entry – dated Wednesday, May 13, 2015 – or look back at past entries from Monday and Sunday. Today marked the midway point for this first field season of the Herring Run Archaeology Project, and we enjoyed the beautiful cool weather as we continued to make new discoveries. One of our ongoing goals is to define the dimensions of Eutaw House. We need evidence of all four walls to get a sense of how big the house was, so Jason set out this morning to identify more of Eutaw’s foundation. As it turns out, the west wall, much like the north wall, was still intact and fairly close to the surface. A section of the west wall was uncovered and documented by lunchtime. While digging, one of today’s volunteers (NPS archeologist and Baltimore Heritage board member Dave Gadsby) noticed a dark stain near the west wall. After some careful cleaning of the area we determined the stain was likely the remains of a decayed post that may have supported a porch or stair. Tomorrow we will excavate the post and begin searching for the other two walls. David Gadsby, Jason Shellenhamer and Margaret DeArcangelis examining the western wall and post hole, 2015 May 13. 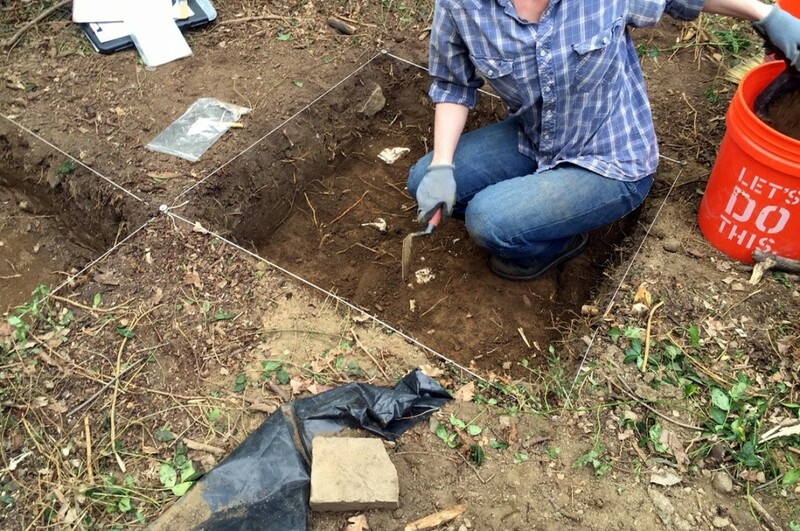 To the west of Eutaw House, Lisa and her team of volunteers continued their excavation of the mixed historic and Native American component of the site. 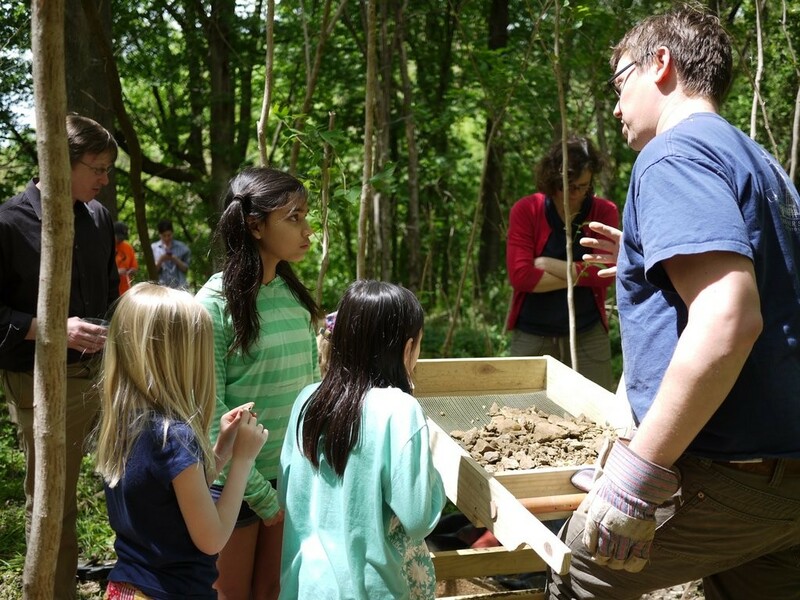 In addition to finding nearly seventy-five Native American stone artifacts over the last two days, they have also discovered some of the earliest European artifacts at the site. These artifacts point to an occupation that predates that of William Smith by several decades. Another interesting discovery was the identification of an oyster shell midden (trash pit). So far, the excavation of the oyster midden is in its preliminary stages, and we’re looking forward to exploring it more fully on Thursday. Lisa Kraus excavating the oyster midden. Photograph by Jason Shellenhamer, 2015 May 13. Today marks 93 years since Parren James Mitchell was born here in Baltimore on April 29, 1922. While well-known to a generation of Baltimore voters, Morgan State students and fellow activists, some might not recognize the name of the former Congressman. 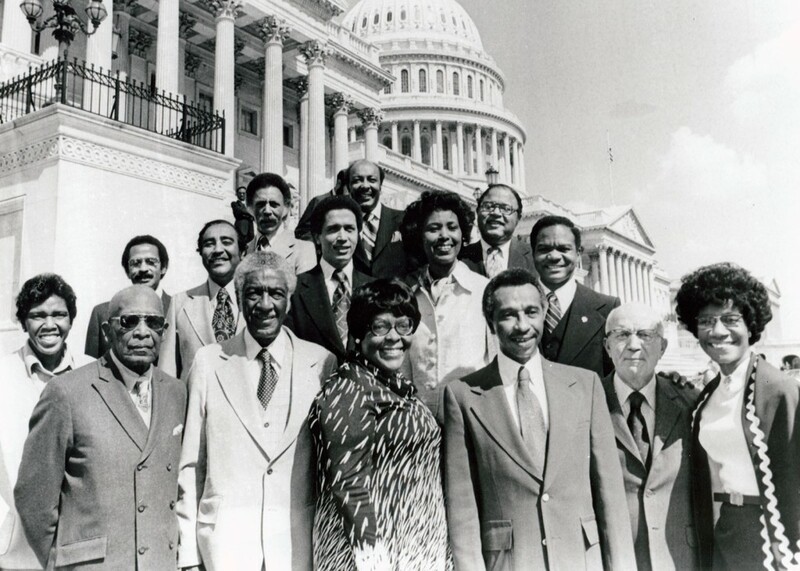 Parren Mitchell is remembered as the first black graduate student to receive a degree from the University of Maryland, College Park and the first black congressman from any Southern state since Reconstruction. Mitchell died nearly eight years ago but left an indelible legacy of service and advocacy. One historic place stands out in Parren Mitchell’s story as an important reminder of the history of Baltimore’s Civil Rights movement and the struggle for justice: 1805 Madison Avenue where then Congressman Mitchell lived from 1974 up until his retirement in 1988. This is the story of that house and Parren Mitchell’s own fight for justice. Born in Baltimore on April 29, 1922, Parren James Mitchell moved around as a child. Early on his family lived on Stockton Street near Presstman Street just south of Saint Peter Claver Church which had been stood on North Fremont Avenue since September 9, 1888. Parren Mitchell started attending Frederick Douglass High School at a large building located at Calhoun and Baker Streets. Still standing today, this structure was the third location for the institution which had previously been located at the corner of Dolphin Street and Pennsylvania Avenue. When it opened in 1925, the new Douglass High School gave Baltimore’s African American public school students access to gymnasium, a library, and cafeteria for the first time. After Mitchell graduated from high school in 1940 he enlisted in the Army, serving in World War II, winning a Purple Heart for wounds suffered in Italy. He graduated from what is now Morgan State University and applied to enter the graduate program of the University of Maryland at College Park. He worked as a professor of sociology at Morgan State between 1953 and 1954 and then as a supervisor of probation work for the Supreme Bench of Baltimore City from 1954 to 1957. 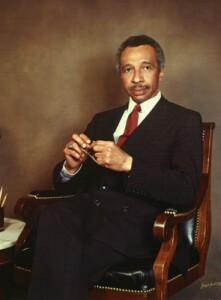 From 1963 to 1965 he was executive secretary of the Maryland Human Relations Commission, overseeing implementation of the state’s public accommodations law. In 1969, he became the President of Baltimore Neighborhoods, Inc. where he continued through 1970. 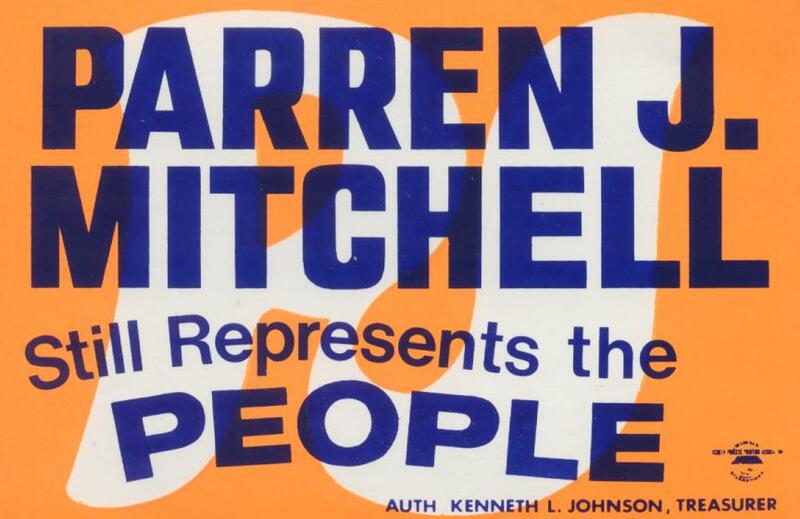 Parren Mitchell was elected as a Democrat to the 92nd and to the seven succeeding Congresses serving from January 3, 1971 through January 3, 1987. 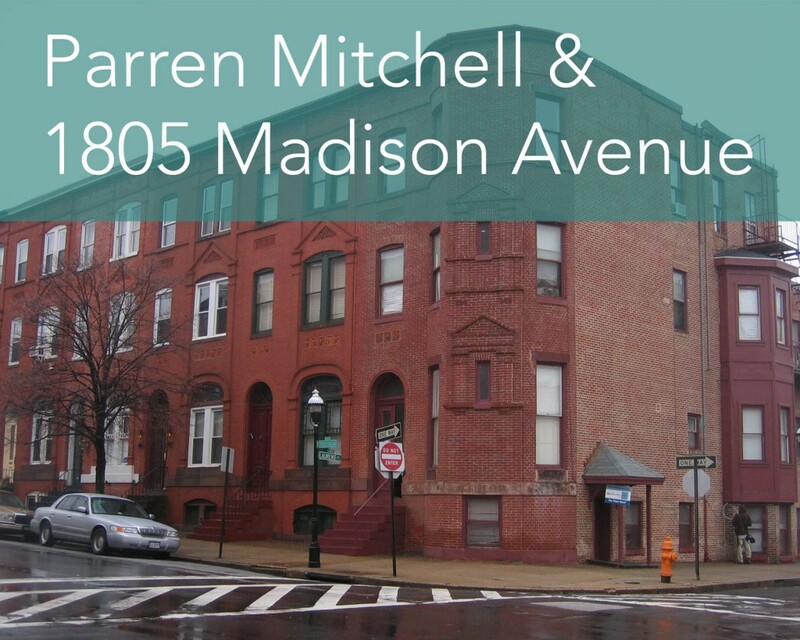 Three years later, Parren Mitchell purchased a 90-year-old rowhouse at 1805 Madison Avenue. 1805 Madison Avenue was built around 1886, when the property was first advertised in the Baltimore Sun as available to for rent for $35 per month. In July 1888, Benjamin and Rosetta Rosenheim purchased the home and moved in with their two young children. Benjamin was a lawyer with an office at 19 East Fayette Street. When Rosetta needed help at home in January 1889, the Rosenheim household placed an advertisement in the Sun seeking a “White Girl, from 15 to 17 years to nurse two children, aged 2 ½ and 4.” Similar advertisements appeared again in June 1889 and March 1890 seeking a caretaker for the two children. The family didn’t stay long, however, and on May 29, 1893 Benjamin and Rosetta Rosenheim sold the home to Julia Gusdorff. 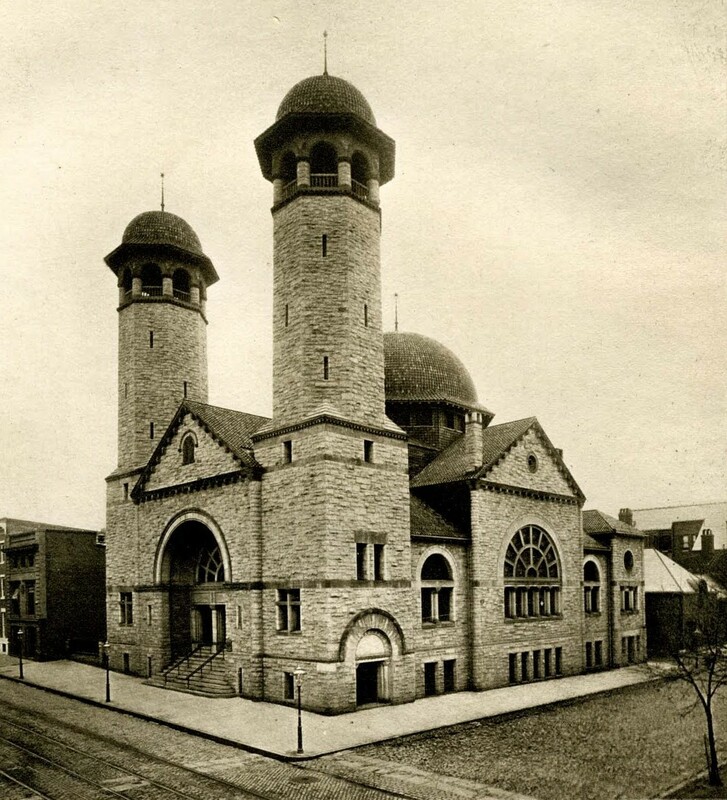 Baltimore Hebrew Congregation Synagogue built at 1901 Madison Avenue in 1890. Courtesy Jewish Museum of Maryland. Born August 20, 1884 in Carrollton, Mississippi, Keiffer Jackson worked as a Methodist evangelist and promoter of religious films traveling throughout the United States. 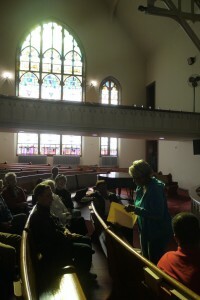 Jackson met Lillie Mae Carroll at the Sharp Street Church while she was performing as a soprano in the church choir. The two married in 1910 and began to acquire the rental properties that helped to support the family while Lillie Mae Carroll Jackson dedicated herself to church and community activities. In 1931, Lillie Mae Carroll Jackson and her daughter Juanita Jackson organized the City-Wide Young People’s Forum to advocate for youth in West Baltimore and, in 1935, Lillie Mae Carroll Jackson took leadership of the city’s NAACP chapter. With her daughter’s help she turned a once-floundering group into a powerful force for civil rights by supporting early legal challenges against the state’s discriminatory policies. In 1950, Juanita became the first African-American woman to graduate from the University of Maryland School of Law and the first admitted to the bar, adding her own efforts to the legal fight for civil rights in Baltimore. Sticker from 1976 campaign. Courtesy Digital Commons @ UM Carey Law, Larry Gibson Collection. Parren Mitchell sold the property to Sarah Holley in 1986 and moved just a few blocks away to 1239 Druid Avenue. He remained at that location until 1993 when he returned to Harlem Park and lived at 828 North Carolton Avenue where he remained until 2001. This property was recently featured on our tour of Lafayette Square and is now used as offices for the Upton Planning Council. Sarah Holley lived at the 1805 Madison Avenue from 1986 through 1989 and, since 1989, the property has been maintained as a rental property. Today, Baltimore Heritage is working with current owner Sarah Holley and the Baltimore Commission for Historical and Architectural Preservation to secure individual landmark designation for 1805 Madison Avenue. 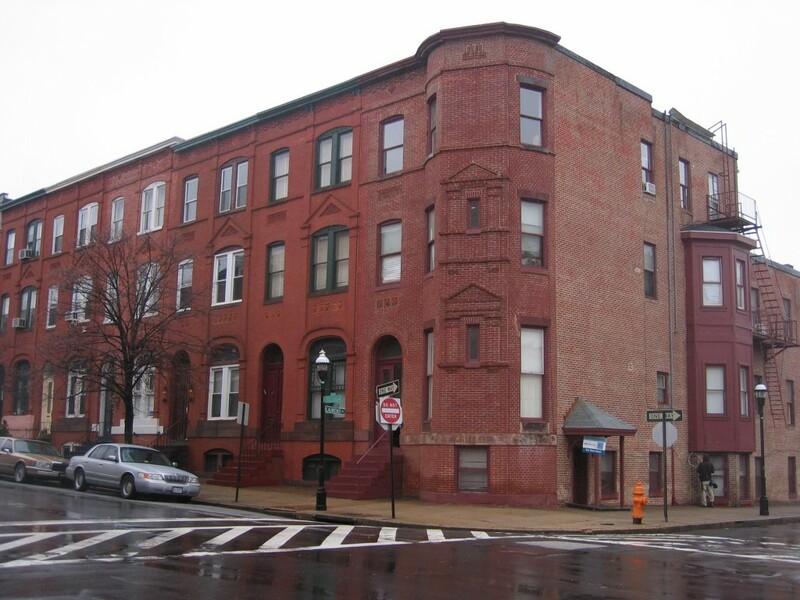 Landmark status will honor the role of this rowhouse played in the larger story of Parren Mitchell’s service to Baltimore and Baltimore’s long history of Civil Rights activism. While Madison Park remains a vital historic neighborhood, other blocks within the Old West Baltimore historic district are at risk from neglect and disinvestment. We hope our ongoing work around Baltimore’s Civil Rights Heritage can continue to focus attention on the opportunity for places like 1805 Madison Avenue to serve as a source of pride and economic opportunity for residents in Baltimore today and in the future.